January 30, 2019 – Simcards beyond the three allowed on a single network will go silent in Rwanda tomorrow as the deadline set by regulator Rwanda Utilities Regulatory Authority RURA expires. In SMS messages to subscribers on Rwanda telecom networks this week, RURA reminded subscribers of the impending January 31 deadline after which an individual can tag a maximum of only three telephones lines to their ID on a single network. With only two players offering voice left in the market after Airtel absorbed Tigo Rwanda, that means a maximum of six simcards for voice communication. The restrictions were introduced as part of wider efforts to curb subscriber identity module SIM, related fraud. 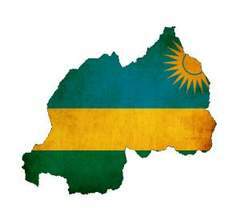 In messages that have been going out to telephone subscribers since the start of the year, RURA announced that holders of Rwandan national ID’s would be allowed a maximum of three lines registered to their cards from a single service provider while non-nationals would be allowed to register only one to each network using their identity documents.